Today is the first day of the Summer Sampler Series! We are so excited to have so many people quilting along with us. 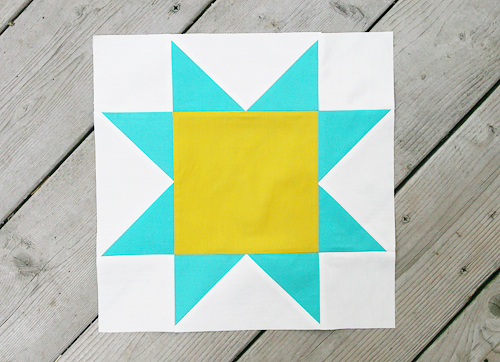 Please visit Kate's blog at Swim, Bike Quilt for a tutorial on our first block, The Star of Virginia. Be sure to post your block and any questions in the Flickr group. I have been busy working on my tutorials so I don't have anything too new to show you, so I though I'd share a few pictures from my garden. 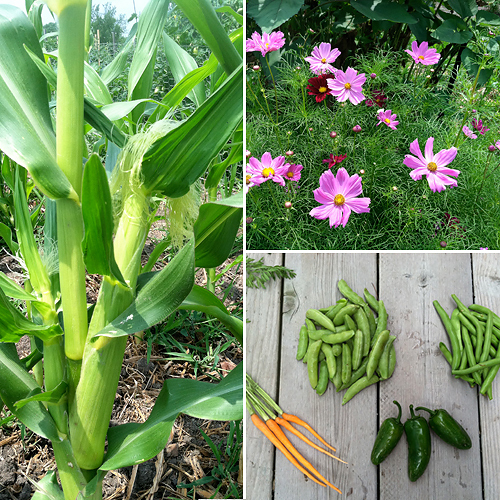 Corn is starting to grow and I am finally harvesting some green beans, sugar snap peas, carrots (not really ready but my daughter wanted to see them! ), and jalapenos. 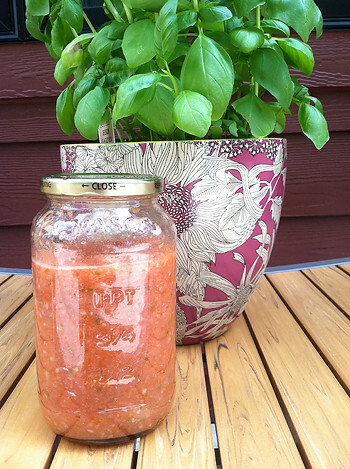 I made fresh salsa last night. It was SO good. All I did was take 4 medium tomatoes, 1 large white onion, 3 cloves of garlic and 1 jalapeno (seeds removed) and sliced them all down the middles. I put them flat side down on a baking sheet and broiled them until they were soft and browning on top. Then I put them all in the food processor and blended it up! Add a bit of salt and enjoy. Update: Here is my block!